A new handheld tool being developed will allow F-35 maintainers to check the aircraft’s paint for any damage in a fraction of the time it now takes. 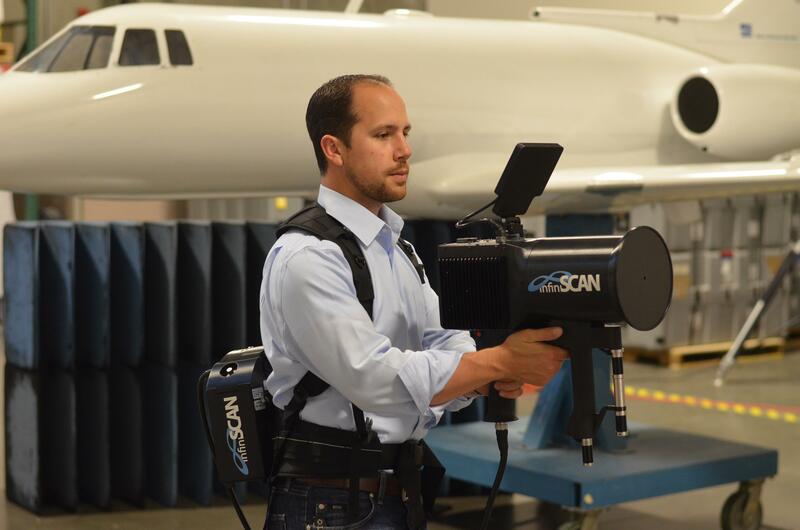 The handheld imaging tool consists of a 7-pound scanner and an 11-pound backpack; whereas the current piece of equipment weighs 1,200 pounds, according to the Air Force Research Laboratory at Wright-Patterson Air Force Base, Ohio. Recent advances in materials and electronics have allowed the Air Force to miniaturize imaging systems, said Juan G. Calzada, of the laboratory .Because the tool is so portable, it eliminates much of the time needed to set up the current system. “For one particular application, it can image a portion of the aircraft in about 15 minutes; vs. two to three hours that it would have taken the system that we currently use to collect the same information,” Calzada said. While the tool could eventually be used on other aircraft, only F-35 maintainers have the software to interpret the data about the paint, laboratory officials said. The Air Force plans to have six initial production units by the end of 2017. Testing of the technology is finished, said Stephan Russ, also of the laboratory. The next step will be to turn the tool from a lab prototype into something that can be used in the field.